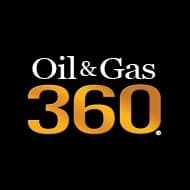 Harold Hamm, Chairman of Continental Resources (ticker: CLR) sees attractive long-term growth prospects in global gas demand, the Financial Times reported in a recent story about Hamm. Hamm expects U.S. LNG exports to rise from about 3.5 Bcf/day in 2017 to 10 Bcf-11 Bcf per day by 2019, just from the export plants now under construction. The EIA came out with a report that tops that—putting U.S. exports of natural gas at 13.5 Bcf/day. “As further liquefaction projects are approved and completed, he expects this to rise to 30 Bcf-35 Bcf per day in the longer term. At that rate, the US would be exporting about 42 per cent of this year’s total gas production,” FT calculated. There is no doubt U.S. LNG exports are on the rise, thanks to the first-mover status of Cheniere Energy (ticker: LNG) which completed its Train 1 liquefaction facility at Sabine Pass and started exporting LNG in early 2016. With six major projects in progress including capacity expansions at Sabine Pass, the U.S. isn’t slowing down. These six projects will give U.S. a major presence in not only the regional gas market, but the global gas trade. Here is a recap of where the U.S. stands in the race to export natural gas. Currently, Cheniere Energy’s (ticker: LNG) Sabine Pass is the only active LNG exporting facility in the U.S. The Sabine Pass facility is partially complete, with three of a total of five trains operational. The fourth train of Sabine Pass is nearly complete, and was 99% constructed at the time of Cheniere’s second quarter conference call earlier in August. Cheniere reports that Train 4 will be completed in October. The fifth train is not as far along, and current plans suggest it will come online in August 2019. Cheniere is currently in the process of obtaining commercial contracts and financing for a sixth train, which would be the final one at Sabine Pass. Each train at Sabine Pass is designed to process 4.5 million tons of LNG per year, giving the facility current production of 13.5 MTPA and eventual total capacity of 27 MTPA. The next facility to come online will most likely be Dominion Energy’s (ticker: D) Cove Point facility in Chesapeake Bay in Maryland. Cove Point is currently an LNG import facility, but the rise of unconventional production from the Marcellus has pushed the facility to be retooled to export gas. Dominion released an update in July which stated that the project was 92% complete, with an in-service date in Q4 2017. All of the major equipment has been set in place, now the focus is on commissioning activities. Cove Point LNG will have a total capacity of about 5.7 MTPA when operational. After Cove Point begins operations, the first train of Sempra Energy’s (ticker: SRE) Cameron LNG is scheduled to come online. Located along the Calcasieu Channel in Louisiana, Cameron LNG has three trains currently under construction. The project’s website estimates that Train 1 will begin operations in early 2018, while Train 2 and 3 will start up around mid- and end of 2018, respectively. In addition, Cameron LNG is currently in the permitting stage of constructing an expansion to the facility, which would add a fourth and fifth train. Project completion for the expansion is expected sometime in 2019. The first three trains represent just under 15 MTPA of LNG capacity, while the expansion adding an additional 10 MTPA of production. Soon after the first train of Cameron LNG begins production, Kinder Morgan’s (ticker: KMI) Elba Island LNG will begin operation. Located just north of Savannah, Georgia, Elba Island is currently a regasification plant for imports of LNG. Kinder Morgan is currently constructing liquefaction and export facilities at the site of existing operations. The project will use a total of ten of Shell’s small-scale liquefaction units, constructed in two phases. The first phase will begin service in mid-2018, while the second will come online in early 2019. Elba Island will be a relatively small facility, with about 2.7 MTPA of export capacity. Like Sabine Pass, Freeport LNG was originally envisioned as an LNG import facility, but the profound change in the U.S. natural gas supply picture which the shale phenomenon caused means it is now an export facility. Located near Galveston, Freeport will be one of the larger LNG facilities in the U.S. Currently, the facility is constructing three trains for a total capacity of 15 MTPA, but a fourth train is under development. This would add another 5 MTPA of LNG, for a grand total of 20 MTPA of production. The three trains currently under construction will begin operations between Q4 2018 and Q3 2019. The sixth and final facility currently under construction is also a Cheniere project – Corpus Christi LNG. This project will have a total of five trains when complete. According to the project’s website, construction on Train 1 and 2 began in May 2015, and Train 1 is on schedule to begin operations in the first half of 2019. Like at Sabine Pass, each train in Corpus Christi will have 4.5 MTPA of capacity, giving the overall facility 22.5 MTPA of LNG production. The total planned capacity at these six projects represent a total of over 100 MTPA, or 13.5 Bcf/d of LNG production, once all trains are operational and exporting LNG. The U.S. is already behind in the global LNG export race. All this planned LNG and the global marketing of Marcellus gas will have to compete with another rising LNG producer that started before the U.S.—Australia. According to BP (ticker: BP) Vice President for Upstream in Australia Claire Fitzpatrick, Australia is on track to overtake Qatar as the largest LNG exporter in the world. Many massive projects are currently either operating or under construction. The massive Gorgon LNG is chief among them, which will produce about 15.6 MTPA for a cost of $54 billion. BP’s North West Shelf (NWS) project is the producing asset in the BP Australia upstream portfolio, Fitzpatrick said in an interview for BP Magazine. “It is a long-standing position, where we are one of six equal partners. We began producing domestic gas in 1984, with the first shipments of liquefied natural gas (LNG) five years later. Since it was sanctioned more than three decades ago, we have doubled the resource base – and today it delivers about a third of Western Australia’s domestic gas supply, as well as supplying LNG for export, condensate and liquefied petroleum gas (LPG),” Fitzpatrick said. BP’s North West Shelf project is four offshore platforms and more than 50 wells, with trunk lines connecting back to onshore facilities at Karratha. About 1,500 kilometres north of Perth, there are five LNG trains (with an annual export capacity of 16.9 million tonnes) and a domestic gas plant (630 terajoules per day). The venture also owns seven LNG carriers and the vessels are managed individually by those partners with shipping businesses, including BP Shipping, Fitzpatrick said. “The domestic gas stream supplies Western Australia (WA) directly, while the LNG goes for export, mainly to Japan, but also to customers in China and Korea. The project is a huge driver for the economy, both in employment terms and through tax revenues,” Fitzpatrick said in the interview. “Australia looks set to become the largest LNG exporter in the world by 2020 – and the North West Shelf will play its part in that, alongside several new LNG projects around the country,” Fitzpatrick said. The Australian Petroleum Production & Exploration Association lists seven currently operating LNG projects including North West Shelf, with another three under development. These projects represent a total of nearly 86 MTPA of LNG capacity, all projected to be operational by 2018. The expense of these projects is significant, however, totaling more than $250 billion. It remains to be seen how large-scale production of LNG from the U.S. will compete with the more established Australian supply. LNG prices are falling, as several different forces push prices lower. Increasing supply from Australian operations has naturally driven down prices. In addition, many LNG contracts price the product as a percentage of the oil price, meaning prices would fall in concert with the oil price downturn. Companies like Petronas have begun advertising increasing flexibility in their LNG contracts, as buyers begin to look for who has the best deal. These trends flared up in May, when Qatar pushed back against Japan’s efforts for changing contract terms. According to Reuters, Qatar threatened to force Japanese companies out of their stakes in Qatari projects if Japan pushed too hard on terms or switched to different suppliers. More recently, the Japan Fair Trade Commission outlawed certain restrictions on LNG contracts in July. While this ruling is limited in scope and will not fundamentally change the company’s LNG markets, it does represent a significant win for LNG buyers. Will Statoil Bail On Its Barents Sea Project? I take it their drillers aren't going bankrupt. The Aussies did say they would like to cut back on LNG shipping in order to maintain supply for their country. As when our government manipulated oil to prop up the dollar and left every driller hanging has anyone told the Shippers that Australia wants to cut back?